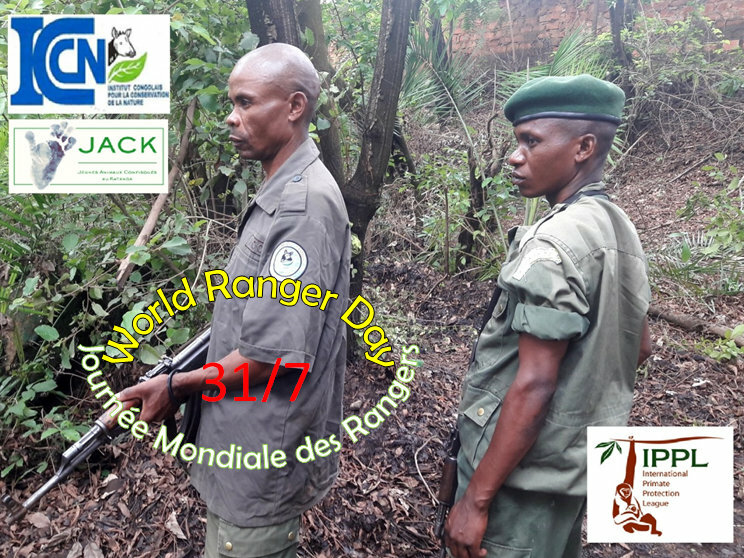 Are celebrated today all the great Rangers who daily protect their fauna and flora and I want to highlight all these brave Rangers who lost their lives when courageously protecting the patrimony of their coutry! MANY THANKS to ALL OF THEM! J.A.C.K. wants to thank its ICCN partner for providing 2 armed Rangers from the National Parks. Conservation and enforcing laws aren’t always easy and therefore security is needed at the sanctuary! MANY, MANY THANKS TO THE RANGERS FOR THEIR DAILY COMMITMENT! AND ANY THANKS TO THE ICCN & TO IPPL AS WITHOUT THEIR HELP, THERE WOULDN’T BE ANY SECURITY AT J.A.C.K. !